I just finished teaching 10 quilting classes at Central Sewing in Edmonton, Alberta. 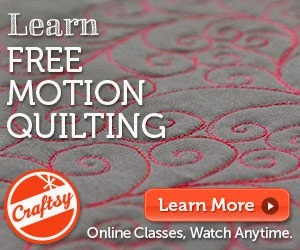 I met so many amazing quilters and had a fantastic time here! Since I am flying directly to Houston tomorrow, I asked at my hotel about laundry facilities. The desk clerk, Nicole, said, "It is coin operated, but we have loonies at the front desk." Um..... ok..... huh? There are likely loonies at the front desk of many hotels, but they don't proudly advertise that fact. After thinking for a while, I bravely asked, "Are loonies coins?" We had a long conversation about American money and Canadian money. Apparently paper money in Canada starts with the five-dollar bill. They have a one-dollar coin called a "loonie" and a two-dollar coin called a "toonie." How did I not know this? Nicole is the proud owner of an American dollar bill. She seems as excited as I am! I'm a little sad to be leaving Edmonton, but I'm thrilled to be heading to the warm weather of Houston! I finished the quilting last week, and last night I finished the binding. THE QUILT IS DONE!!! The quilt will go to my son's brand-new niece. Welcome to the world, Lena. At quilt guild tonight, Kathy N. was bugging me about not updating my blog enough so I promised I would post JUST FOR HER. Everyone who isn't named Kathy N., stop reading now! On Sunday I flew from Portland, OR to Pittsburgh, PA to visit my family. I took my mom to the zoo on Monday and then had some serious binding to finish before I could drive home on Tuesday morning. My sister's birthday was in May, so I made her the bottom tablerunner (the same one I made for my mom for Mother's Day). Yes, it is late. My mom's anniversary was in June, so I made her the top tablerunner. I finished binding them both in time to drive home on Tuesday morning. I was relieved. I hope you liked your blog post. This was a test for the pattern I am teaching on Patchwork Posse. Check out the other cool patterns in the Rugs and Runners online workshop! I showed this quilt at the Latest in Longarm Quilting class I taught yesterday at the Quilt Basket. If you want to know the secret of turning corners on borders, I will be teaching Turn Those Corners at Quilting With Machines in Huron, Ohio later this week. There is still time to sign up!